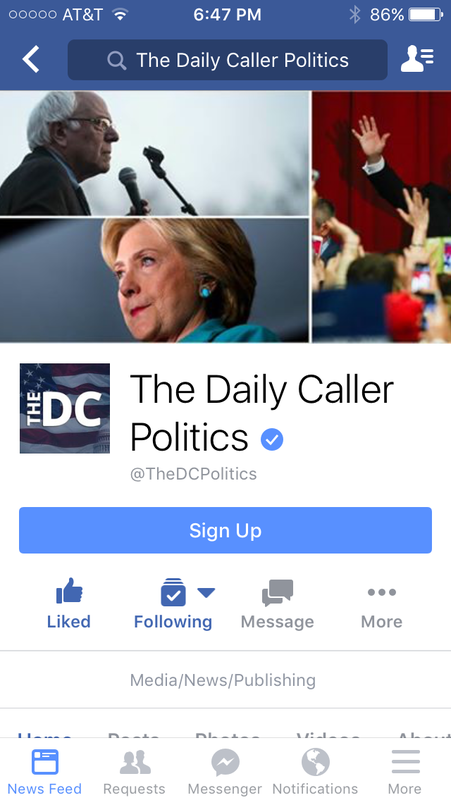 Facebook Is Hiding Daily Caller Articles. Here’s How To Fight Back. Liberal Facebook editors have already admitted to censoring news that conservatives would be interested in. 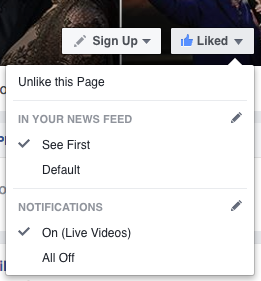 And most users now realize that Facebook only shows you a handful of the posts you’ve signed up for. 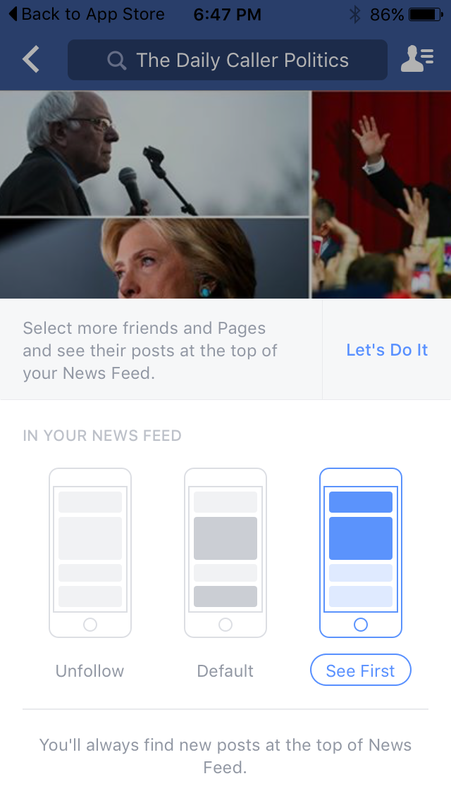 In fact, recent changes at Facebook virtually guarantee you’ll see fewer articles, videos and photos published by outlets like The Daily Caller. 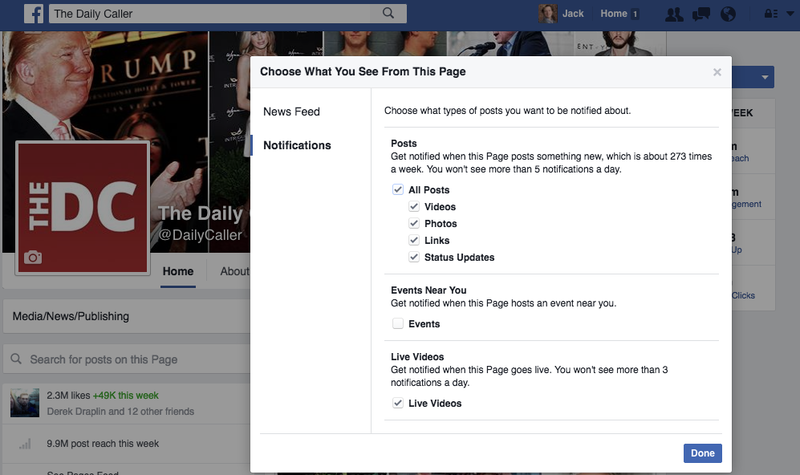 But there’s a simple way to make sure Facebook doesn’t stop you from reading The Daily Caller news you want. 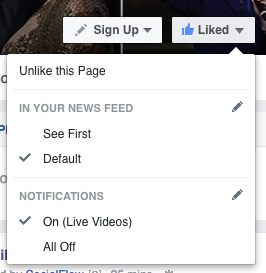 It’s time to get around the liberal Facebook censors and take back control of your news feed. There you go. 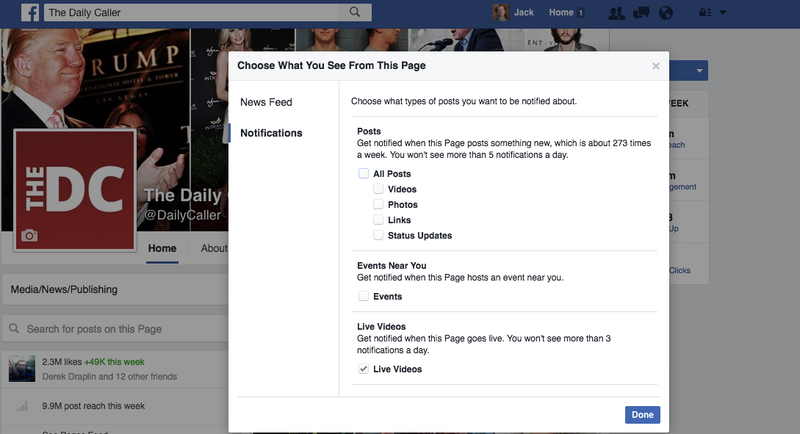 Once you have done that, you’ll have successfully gotten around Facebook’s algorithm on a desktop computer. And that’s how you do it on a smartphone. 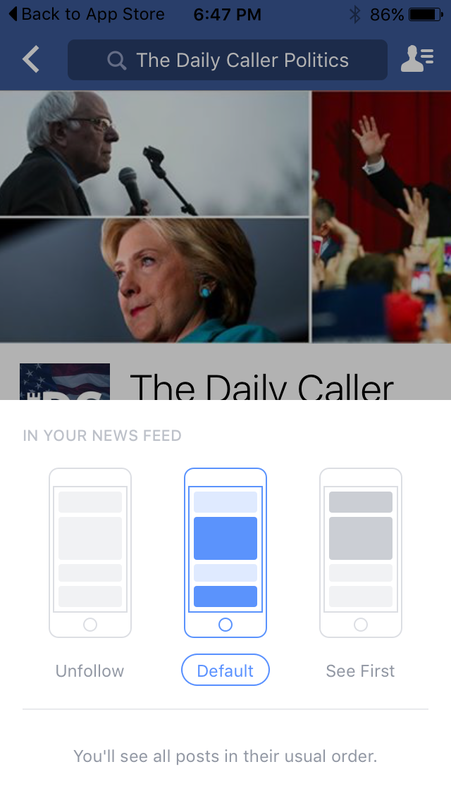 After selecting “See First,” Facebook will stop hiding your news updates from The Daily Caller.